Today, Oregon Food Bank collects food from farmers, manufacturers, wholesalers, retailers, individuals and government sources. 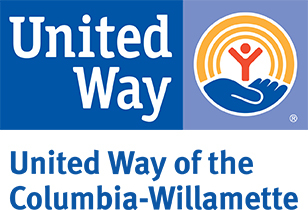 We distribute that food through a Statewide Network of 21 Regional Food Banks and approximately 970 partner agencies serving all of Oregon and Clark County, Washington. Please join Oregon Food Bank in our mission to eliminate hunger and its root causes. You can help by repacking and sorting through donated food. The food that you help repack will be distributed to our network of hunger relief agencies directly helping those struggling with food insecurity in your community. Please remember to wear closed-toe, closed-heel shoes, and clothing you wouldn't mind getting just a little dirty. You must be 6 years of age or older to attend this project; any volunteer under age 18 must attend with a parent or adult chaperone.